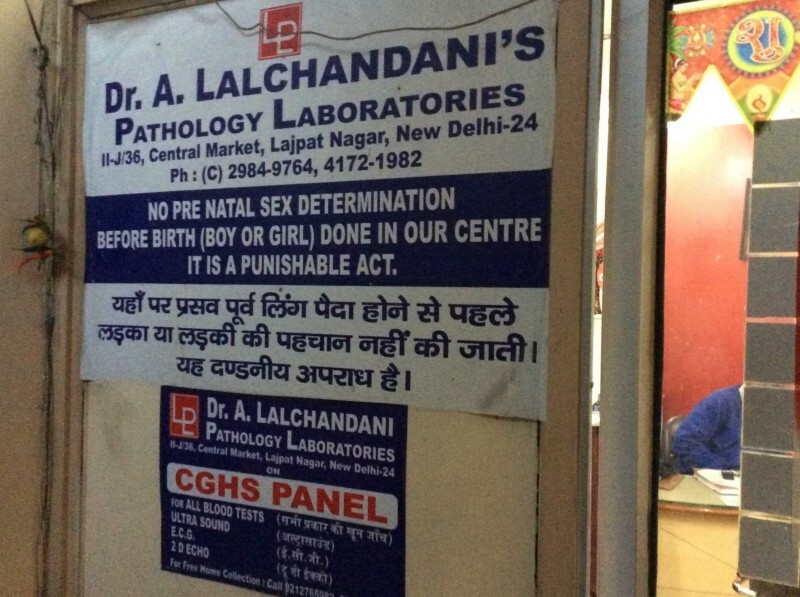 It was way back in 1987, when my father?—?Dr A Lalchandani a graduate from BHU, Varanasi led the foundation stone of Dr Lalchandani Labs with a vision to make healthcare accessible to everyone and give an alternate of expensive hospitals. Less he realized that after 3 decades that access to healthcare will become a fundamental right of every Indian, less he knew that Preventive Healthcare will be part of lifestyle and not just need. We started small, very small indeed in the buzzing lanes of Lajpat Nagar, Delhi. Those who are from Delhi will understand the energy of the place. That time customer experience was probably the last thing that entrepreneurs thought and also not the expectation of patient/customers as we as a nation were still solving the first world problems of healthcare, atleast the access and accuracy. In 1987, Our lab was a collection of rooms and space, where everything was cluttered, You had to give Sample 1 in room A then move to separate room outside for Sample 2. In short?—?A passionate idea by a talented entrepreneur (Dr A Lalchandani ji) looking for a consumer centric revamp. Over the time being a second generation entrepreneur, I have seen the struggle of my father?—?Dr A Lalchandani Ji and always had him as my role model though my interest was limited as I was focusing to be a better engineer. Post my Engineering & MBA, I saw a tremendous opportunity in potential and experience of Dr Lalchandani Labs as a service to customers. I have always been inclined to B2C model over B2B as it keeps you on toes and gives you a vertical which is just controlled by your service and discipline whereas B2B has lots of other elements attached. Enter 2015, I joined the business as full time and we entered into Consumer Market?—?B2C segment. We built hospitality and hospital experience together to give a unique experience to our customers and every feedback was a validation of our thoughts and efforts. We started growing multifold in B2C market keeping our B2B channel growing as well and today we are a well established name in Delhi-NCR for preventive healthcare and now I have said so, I don’t hesitate in saying?—?We are one of the most beautiful labs in Delhi-NCR and I invite for coffee to come and visit us. Another key to our small success has been people we are able to attract to join the journey. As a band we have been able to attract best of marketing minds from IIM B, IIT Roorkee and best of financial minds who are leading CAs to provide that external view and understanding and make us take better and world class decisions every single day. I have always believed, building a company is just more than money and it’s the team, the people who matter as challenges can be best resolved as a team than individual. Today I feel satisfied having completed the IPO listing process successfully validating the journey of 3 decades but for me and for entire team at Dr Lalchandani Labs?—?We are done with our share of feeling good and for us the journey has just begun which is more responsible and we cant do anything that’s less than Game-A++ as I say. Thank you to everyone of you for being the part of Dr Lalchandani Labs from over 3 decades and now we need you more than ever, in a journey where we can define the preventive healthcare and at the end, serve our nation, serve our people to give them their right to affordable and quality healthcare that they deserve and to do that?—?Its our duty and responsibility.